4. Who's Buried in Grant's Tomb? Another great travel guide from Ideals Publications. Every presidential home and library open to the public is included. Homes and places are arranged by president, along with a short biography, a memorable quote, and a color painting or photgraph of the president. As someone who hopes to visit as many presidential sites as possible, this book has been extremely helpful! Especially helpful is the State index in the back. By using this index you are able to look up a state and see which presidential sites are located there. Would definitely recommend this book to anyone! A must for those who enjoy Presidential history! Book is well written, well illustrated and most importantly - well orgnized. Makes for not only good reading about presidential history, but also serves as a travel guide to everything presidential. 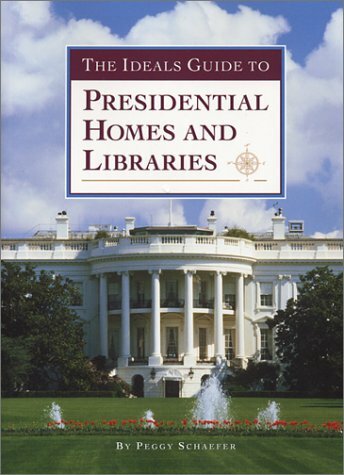 Complete info and details are given about Presidential homes and libraries. 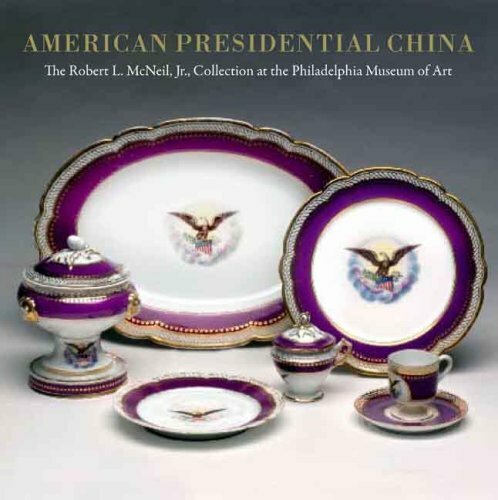 The china used by the First Families, both at the White House and in their private homes, reveals a fascinating story of culture and society as it has evolved in the United States since its early days. In this handsome book, which documents over 200 rare items in the remarkably comprehensive Robert L. McNeil, Jr., Collection, a beautiful display of tableware unfolds as readers learn of trends in taste, style, and modes of entertaining, from George Washington to Ronald Reagan. Among the featured objects are Washington’s white-and-gold Sèvres porcelain that he purchased from a French diplomat recalled at the outbreak of the French Revolution; James Monroe’s gilt-edged French porcelain service, the first state service commissioned by the White House in 1817; and John F. Kennedy’s understated Wedgwood creamware used at his Georgetown home. Collectors and historians will value the information on how the pieces were commissioned, designed, manufactured, and imported. This digital document is an article from Jet, published by Thomson Gale on July 9, 2007. The length of the article is 640 words. The page length shown above is based on a typical 300-word page. The article is delivered in HTML format and is available in your Amazon.com Digital Locker immediately after purchase. You can view it with any web browser. Famous last words: "'Tis well." "I wish you to understand the true principles ofthe government. I wish them carried out. I ask nothing more." "The nourishment is palatable. "Which three famous people uttered one of these phrases on their deathbeds? (Hint: they allserved as president of the United States). 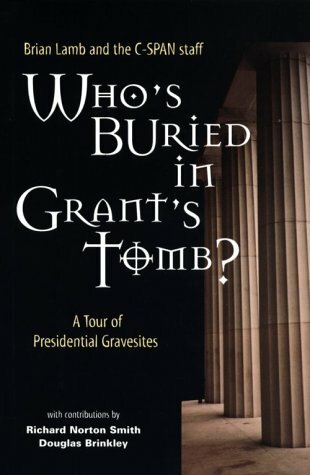 The answers to these and many other questions aboutthe last days of U.S. presidents appear in "Who's Buried in Grant's Tomb?" To mark its twentieth year of broadcasting, C-SPAN presented a special television series,American Presidents: Life Portraits, which focused on one president each week and visited sitesrelated to each president--their homes, libraries, gravesites, or other significant places. Theproject resulted in the most comprehensive video record of the lives of the 41 men who served aspresident of the United States. As a complement to this project, "Who's Buried in Grant'sTomb?" provides a guide to all 41 presidential gravesites, including sites selected for livingpresidents. Each chapter focuses on one president and includes birth and death dates; the time,place, and cause of death; final words; location of the gravesite and price of admission. Photos ofeach gravesite and original oil portraits of each president supplement the narrative, which tellsabout the circumstances of each man's death, funeral services, and last wishes. Starting at the end of each president's life, "Who's Buried in Grant's Tomb?" offers afascinatingly different approach to these famous men. The book supplies some interesting trivia,such as the last words of George Washington, William Henry Harrison, and Millard Fillmorequoted above, and highlights some neglected historical moments, including the massive crowd of60,000 people who marched in Ulysses S. Grant's funeral procession, as well as early medicaladvice to presidents who suffered from heart disease or cancer. "Who's Buried in Grant's Tomb? "can also be used as a tourbook to visit the sites and learn more about the 41 U.S. presidents. This256-page book includes a foreword by Richard Norton Smith and an afterword by DouglasBrinkley. This was a recent gift from my son. I had an earlier edition (which my son doesn't know about and won't ever know about because he doesn't read my reviews). While I liked the previous edition and would have given it 4*, this expanded version is much better. The essential facts remain the same. This is about all the dead presidents of the United States and all these men are still dead. This book provides biographical information which appears to have been expanded as well as information regarding their presidencies and their deaths and professional quality pictures of the presidential grave sites as well as their locations. Additionally included are interesting tidbits relating to original burial sites (as many were post mortem traveling men) and information on attempts to solicite funds to cover the costs of an appropriate memorial/tomb such as in the cases of Grant, Lincoln, Harding and Tyler. Also included is burial locations for the presidential wives and vice-presidents and the future gravesites of those presidents that still happen to be with us. Since I love history, graveyards, and travel, this is an ideal book for me. This would be a great book for anyone interested in the american presidency, history, or trivia. I didn't realize it was just a book for tourists, with very little historical information on the presidents. This book is an excellent and fascinating factual reference for information on the passing of each of the American Presidents.The only negative aspect of the book are the terribly written epilouges at the end of each president's chapter written by Richard Norton Smith.His writing is blunt and crude, and his political and other opinions, of which there are many, are unwanted and downright annoying at times.For example, he chooses to proclaim that "John Tyler died a traitor", but Lyndon Johnson was a "Lion in Winter. "He chooses to associate U.S. Grant with cocaine use, but doesn't choose to mention why Bill Clinton faced an impeachment vote.The points that Norton make are far too debatable and controversial points to be attempted in a one page essay.Overall, a great book which could do without Norton's amateurish editorials. Although this book is about the deaths & funerals of this nations chief executives, it brings history alive for folks like myself who enjoy all things presidential. Focusing on the events that led to the end for each of our late presidents, this book is a thoroughly enjoyable read. I have visited many of the gravesites mentioned here & intend to endeavor to visit the the ones I haven't yet. This book is an indespensible guidebook for my future travels. Lots of great photos, too. there,hours open and any admission costs.It also details other final resting places of other known personalities nearby. Lamb does an excellent job of showing that in the American system of Government, the President is one of the people and remains so; even after his term of serving in the world's greatest office; he returns to being just another American Citizen;a point often made by President Harry S Truman. One of the things I liked about this book was that the author didn't just put together a bunch of readily information to fill a few pages on each President.He provided all the same information for each President, and in doing that;he makes it very evident that these were highly different people and comparisons are clearly brought out.A guide of this type where things are given about one President ,but not another, would be a lazy approach and frustrating to the reader. In a very thumbnail manner the author shows that all these Presidents put the privilige of holding the office above all the politics involved in their lives. I have to admit,that the answer to the title,s question,left me wondering until I saw the answer in another Cusromer,s Review. What President was the sole mourner at the committal of a politician,who had gone to jail for tax evasion; and when asked by the pastor; "Mr. President,why are you here?, heasked. "It's cold and bitter. Did you know this gentleman?" The President replied; "Pastor,I never forget a friend." Presidents don't just drop off the face of the earth when their term ends! "Homes and Libraries of the Presidents" takes a look at the homes, libraries, and other endeavors of the presidents. In a newly revised third addition, Homes and Libraries of the Presidents" contains new information that is promoted as less than a week old when the book went to press. 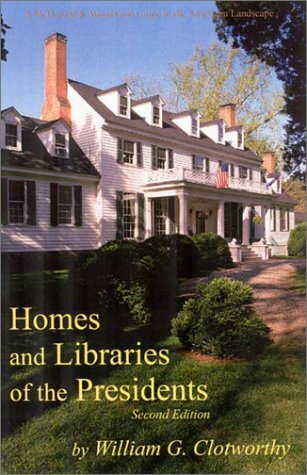 A must for anyone looking for the most up to date information possible on the post-administration lives of the presidents, "Homes and Libraries of the Presidents" is highly recommended for community library reference shelves.